Stefanie Smith at Northrop and Johnson sends word of two new listings at the San Diego office. 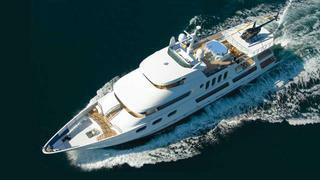 Firstly, David Roscow has signed the 43m motor yacht Leight Star. Built by Sun Coast Marine in 1984 and refitted in 2008, she offers large deck spaces and lush interior accommodation for 10 guests and seven crew. Then there's Feadship'sOrion, built at Royal Van Lent in 1984 and refitted in 1992 and 1994. Constructed in steel and aluminium, this superyacht offers accommodation for eight guests in four staterooms. A central listing with Gregg Morton, she's asking $5.95 million.